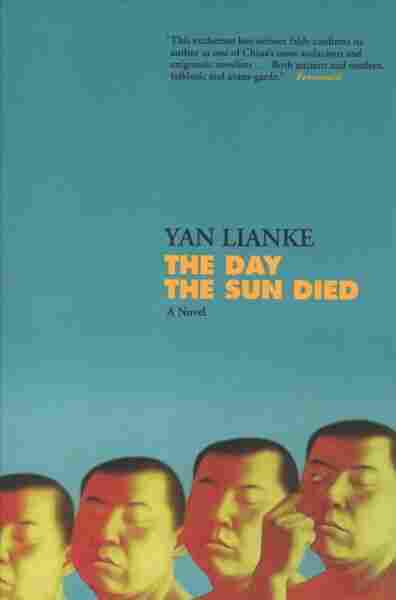 Interview: Yan Lianke, Author Of Chinese Sci-Fi Allegory 'The Day The Sun Died' Yan Lianke's newest book The Day the Sun Died is now available in English in the United States. "Certainly it's a very sharp critique of contemporary society," he says. The newest novel by celebrated Chinese novelist Yan Lianke is a poetic nightmare that's being compared with James Joyce's Ulysses. The Day the Sun Died is set in the course of a single, perpetual summer day and night in which the inhabitants of a small village in China rise from their slumber and sleepwalk through town. They continue to work — thieves roam and rob, murderers romp, people fall into ditches and meet with excruciating farm accidents. Some take their own lives. But the government has declared a ban on burials, and the man who owns the local crematorium has also cornered the market on "corpse oil." So is this village of sleepwalking people any kind of metaphor for citizens of the world's largest country living in a society ruled by unblinkered coercion and corruption? "Yes, it is a bit of a metaphor," Yan says in an interview. "It's a bit of allegory — but I have to explain that in Chinese both the word 'prediction'/'predictive' is the same sound as 'allegory,' and so I really think my novel is a predictive allegory. And certainly it's a very sharp critique of contemporary society." "Certainly when I was writing the novel, I wasn't explicitly thinking about Chinese dreams," Yan says. "But yes, the novel is about a series of dreams, or more rather like nightmares. And this is not limited to this present moment with [President] Xi [Jinping]. China since 1949 has really been a series of nightmares, one after another, waking nightmare — and so, and all the problems inherent in society are things that create that nightmare from then till now." Yan: Yes, even though he's 14, he's really the center or the heart of the novel. And he understands not only what he feels but what others feel. Precisely because of his naiveté and his purity, he sees the world in a way that grown-ups have already forgotten to see. Simon: You make yourself a character in this book too. The little boy says that he doesn't like [your] novels. Was that a fun sentence for you to write? When I was a young man in the military I wrote speeches and propaganda leaflets for my superiors, and I did that day after day. Of course, during the day I sat in the office and wrote these documents. But at night, I started writing my own novels — the novels that would not necessarily be as popular or welcome. This is a very special experience that I had. ... I learned to be a very good, very competent cog within the system. So yes, I certainly feel a great deal [of] anxiety and unease and maybe perhaps even the sense of danger. I feel it day after day. But I wouldn't say it's based on any specific incident or set of reasons, and in that I'm not alone. I think people in China all feel this way. Intellectuals feel this way. But everyday life is a sense of constant anxiety, constant unease — you don't know where the danger is coming from. The danger could be the curbing of free speech, but the danger could also be in poisoned or contaminated vegetables. It could be in a financial crisis. But all in all, we spend every single day in a state of anxiety and I'm not exempt from it. I think that rather than thinking in terms of genre, I realized that basically in China's reality today, the real is unreal. All of us who are living in China today basically exist in a kind of fantasy already — in a kind of elusive reality. Our everyday life is already filled with both a kind of fantasy of the future, a kind of denial of the present. We really don't have a full grasp on what might be happening or what might not be happening to us in everyday life. So when I write my seemingly fantastical novels like [The] Explosion Chronicles or The Day the Sun Died, I'm really trying to write a kind of reality that people are not facing and people are not seeing, but in fact exists. You can see that even — I don't know a single word of English, and I need a small army to do this interview. So looking at my cell phone doesn't do anything.